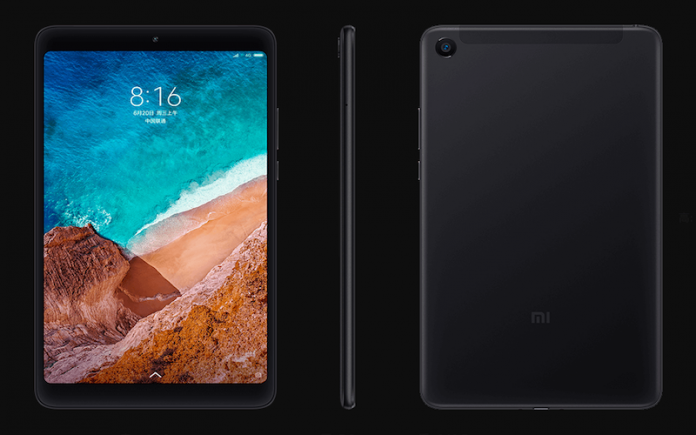 Although it will use the same Qualcomm Snapdragon 660 processor as the regular Mi Pad 4, the upcoming Xiaomi Mi Pad 4 Plus is expected to come with a larger display and a higher-capacity battery. Rumored to arrive in black or gold finish, this Android slate should come with 4 GB RAM and 64 GB or 128 GB internal storage. Back in June, Xiaomi introduced the Qualcomm Snapdragon 660-driven Android tablet Mi Pad 4. However, since the 8-inch display might be considered quite small for a slate nowadays, the Chinese brand has decided to follow up with a larger variant. Although nothing is official yet, MySmartPrice News has quite a few details regarding the upcoming Mi Pad 4 Plus. According to the aforementioned source, the Xiaomi Mi Pad 4 Plus will come with a 10-inch display with an unknown resolution, a battery with more than the 6,000 mAh of the Mi Pad 4, as well as Android 8.1 Oreo with MIUI 10 on top out of the box. Next to the same Qualcomm Snapdragon 660 processor as its sibling, there will be support for dual-band WiFi 802.11 a/b/g/n/ac, Bluetooth 5.0 LE, GPS with A-GPS, GLONASS, BeiDou support, 4G LTE, and USB Type-C connectivity. In addition to the above, we should mention the two color choices (black and gold) and the memory/storage variants (also two, 4 GB/64 GB and 4 GB/128 GB). The sad part is that, since the Mi Pad 4 does not feature a microSD slot, its larger refresh will probably skip it as well. For now, there is no official launch date to talk about, so all the above should be taken with a grain of salt. However, as soon as we find out anything new we will let you know, so stay tuned.